Business loans are about as common in the small business world as casual Fridays. 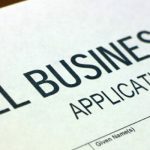 U.S. small businesses, defined as those having fewer than 500 employees, were granted 800,000 business loans in 2011 and were denied 600,000. A survey of businesses taking out loans in 2012 revealed three major reasons for application: cash flow, reserve or cushion funds, and inventory purchase. Nearly every small business needs some type of equipment to operate appropriately. Whether it’s computers, desks, machinery, tools, or trucks, a small business won’t get far without the equipment it needs to function on a day-to-day basis. For many, however, there isn’t much chance of purchasing equipment without some type of loan, at least without tying up important business capital. Besides paying for equipment out of pocket, there are two other options: business equipment loans and business equipment leases. Making the decision between an equipment loan and an equipment lease is no easy task. The most important first step is to understand each. No down-payments or upfront fees, and usually 100% financing. No effect on business when equipment loses value over time. Lease payments can be tax write-offs. An average of 80% to 90% financing. Payment of only 20% of equipment cost. Equipment held as loan security. Low fixed interest equipment loan rates. Eventual business ownership of the equipment. Choose the equipment you are looking to purchase. Decide between a loan and a lease. Contact a lender and submit and application. Negotiate the terms and conditions of the contract. Sign the contract and set up a payment schedule. Both business equipment loans and leases have benefits and drawbacks. Consider your company’s situation carefully and spend time understanding both options before making your financing choice.